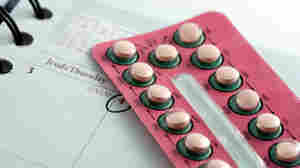 September 7, 2011  Some opponents object to subsidizing contraception on moral grounds; others say it's simply too expensive in an era of tight budgets. The recent battles over the federal budget and the health law may help explain why critics seem to be growing more vocal. June 16, 2011  The North Carolina Legislature overrode a veto by Democratic Gov. Bev Perdue and approving a state budget that bans public funds from going to Planned Parenthood. That makes North Carolina the third state in a month to move toward restrictions on government funding of the group. April 13, 2011  When Morning Edition host Steve Inskeep asked Rep. Tim Scott why the House GOP brought the social issue of abortion into a spending fight, the South Carolina lawmaker said Planned Parenthood funding was a spending issue, seemingly redefining the nature of the issue. Are Abortion Issues Blocking A Deal On The Budget? April 8, 2011  Democrats say a key sticking point in negotiations to prevent a federal government shutdown at midnight is Republican support for defunding the Title X family planning program. Republicans say that's hogwash: They just want to cut spending. 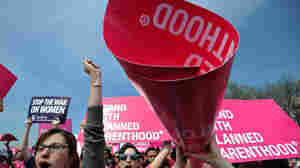 April 8, 2011  The fight over federal spending isn't about U.S. taxpayer funding of abortion since federal money can't by law be used to fund abortions, Planned Parenthood is telling journalists. Rather, they say that Republicans are attacking Planned Parenthood because it provides family planning services. March 15, 2011  In a pointedly worded op-ed, Christine Todd Whitman, the former New Jersey governor, accused social conservatives of trying to "hijack" the budget process to advance their efforts to undermine abortion rights and in a way that will cause harm to many people. March 7, 2011  In the first hour of Talk of the Nation, the political history of Libya, and on the Opinion Page, Rep. King's hearings. In our second hour, political moves to de-fund Planned Parenthood, and David Ignatius says pay "blood money" in Pakistan. February 18, 2011  Planned Parenthood is targeting several freshman Republican House members for radio ads that accuse them of focusing on the social issue of abortion rights instead of jobs and the economy, voters' main concern.